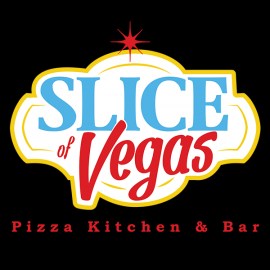 Slice of Vegas serves up NY Style pizza with a thin, chewy crust, sandwiches, fresh pastas, unique salads and gluten free dough as well as vegetarian and vegan options. There is a full bar, imported and domestic wines, and a nice selection of beer on tap and in the bottle. 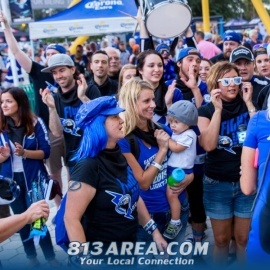 By The Slice will offer options for the passerby, or diners can choose the comfortable booth seating or the casual bar to watch games on one of our 12 television screens or 8 foot HD projection. Use your iPhone to choose your favorite songs on the jukebox, sprinkle some Parmesan on your slice and take in the familiar scent of that traditional pizza pie. 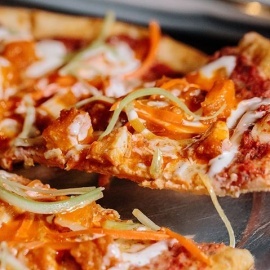 Located at The Shoppes in Mandalay Bay, Slice of Vegas keeps it simple… good pizza in a friendly atmosphere.